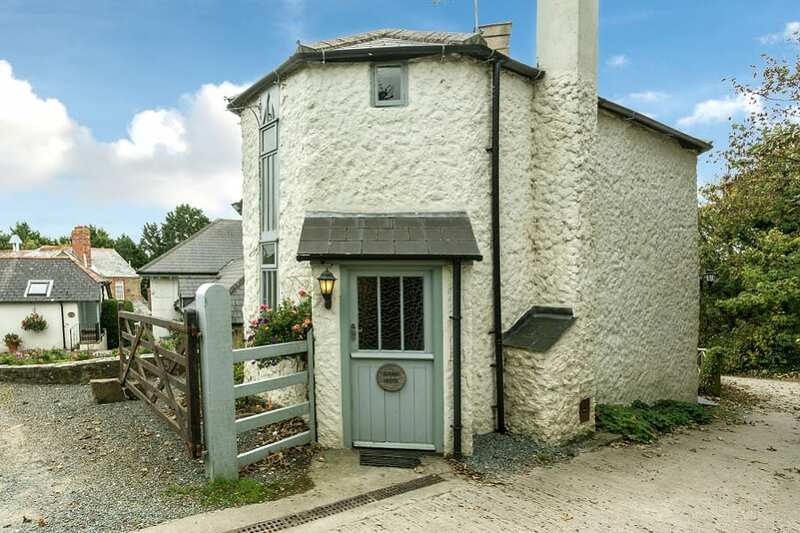 Our most quaint and charming property, with its unusual shaped windows and exposed low beams, was once the Gate Keeper’s Lodge. 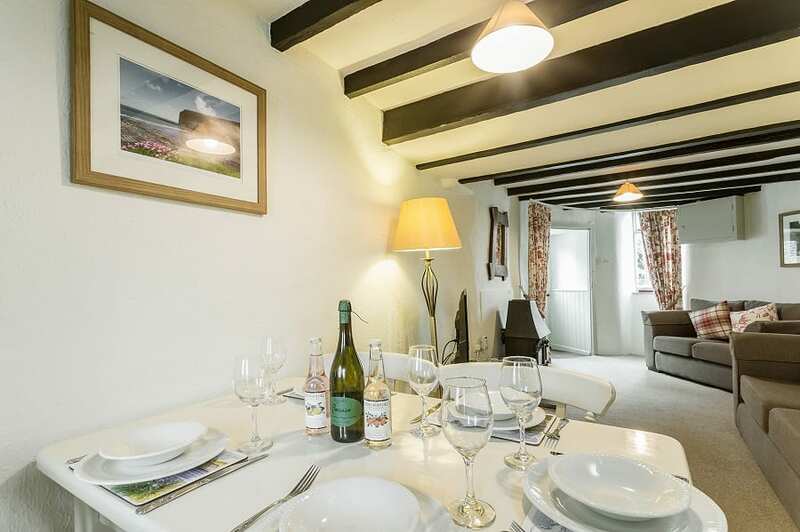 Round House is detached and although still very close to the indoor pool and other amenities, is a slight distance away from the other cottages, offering its guests more privacy. Round House is unusual, intriguing and probably the oldest building on the estate. 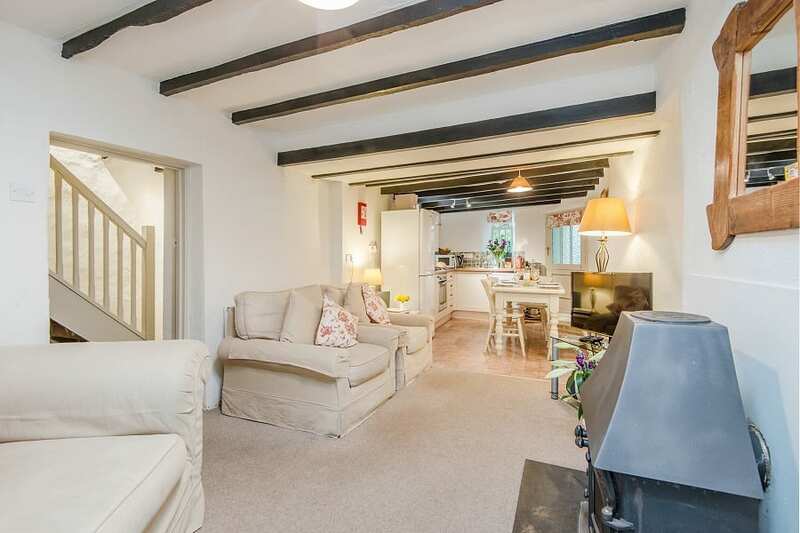 You enter through a small porch with stable door into an attractive open plan lounge/dining room. 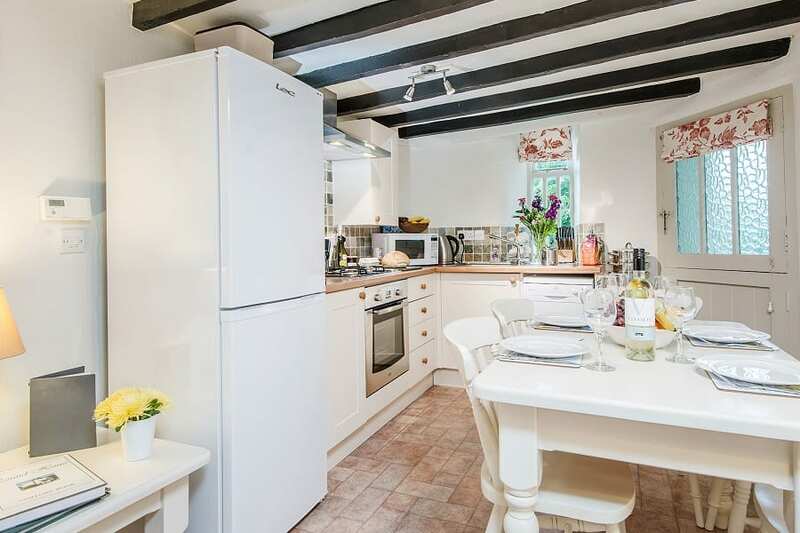 At the far end of the room is a beautifully appointed Shaker style kitchen and a sea view from your kitchen window. 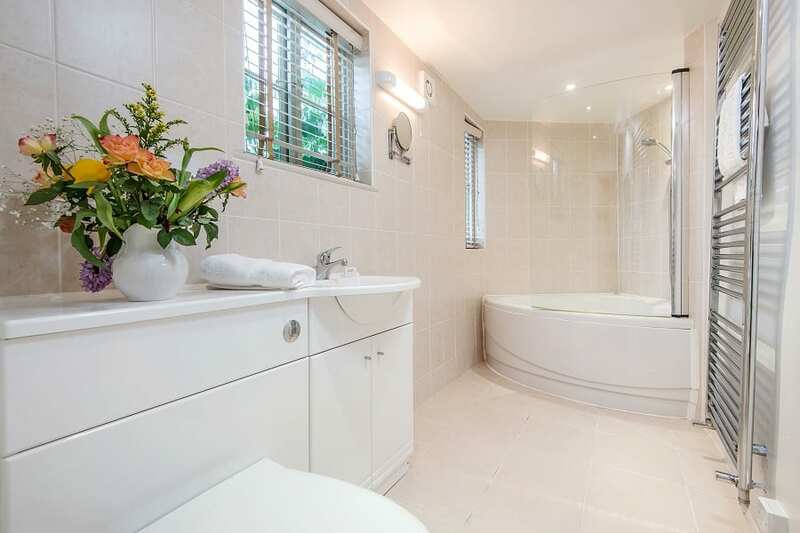 Also on the ground floor is a luxurious bathroom with corner bath and integral power shower. 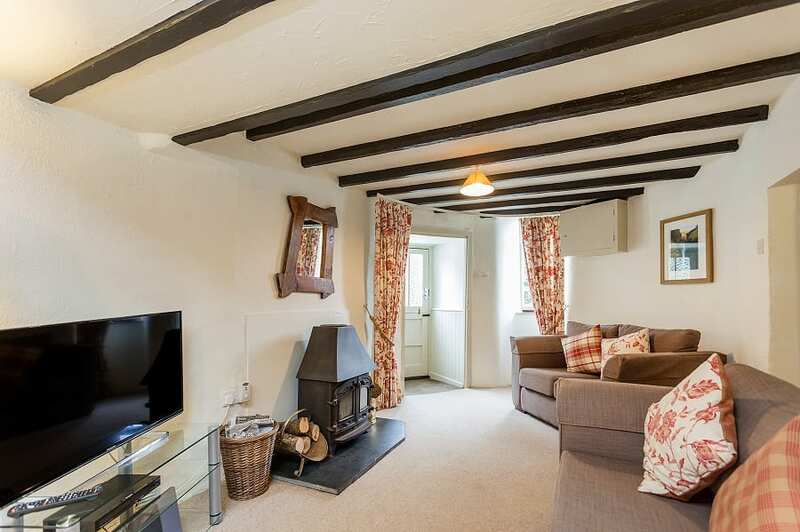 In keeping with a cottage of this period, there is a narrow staircase with low beams on to a landing (taller visitors will need to lower their heads) which leads to two bedrooms. 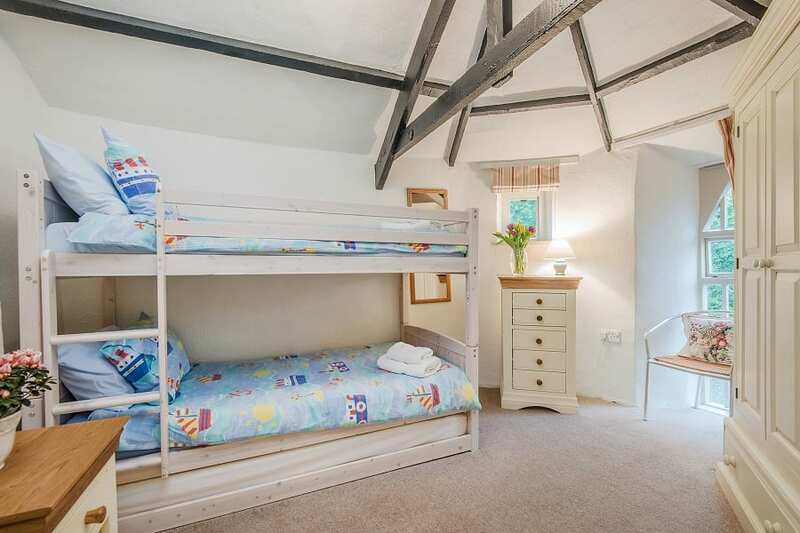 The master bedroom has a king size bed and glorious views across the valley and to the sea; the second bedroom has bunks and is therefore more suitable for children. 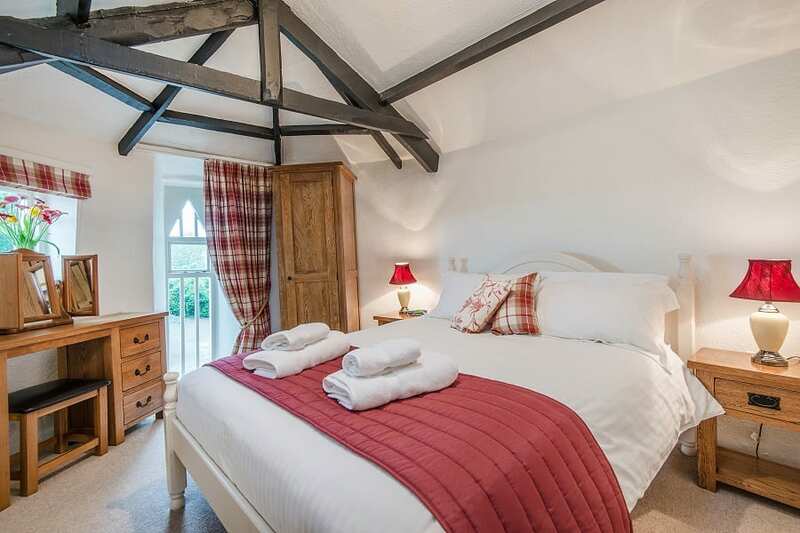 This bedroom will also accommodate a cot and therefore Round House is ideal for a family of four or five. 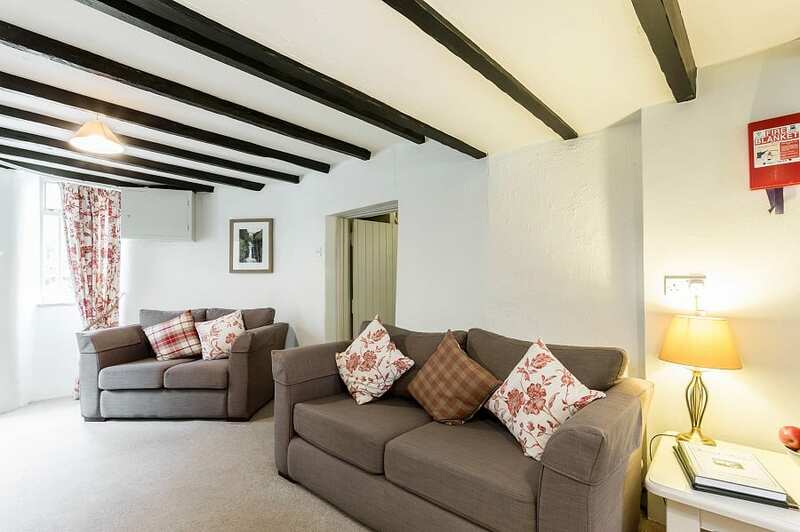 However, its secluded location, wood-burning stove and luxury bathroom make Round House really popular out of season as a romantic getaway cottage for two. 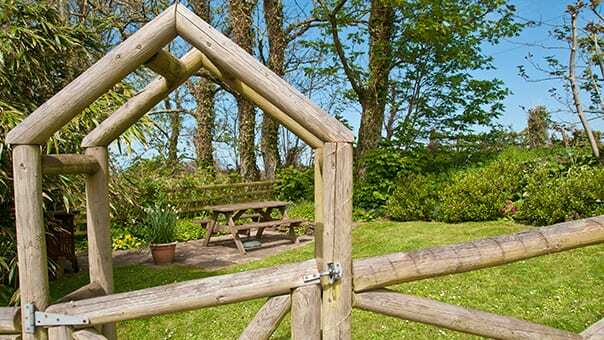 Adjacent to the cottage, Round House has its own enclosed private garden with seating and BBQ for your exclusive use.